Juno Beach is located between Jupiter and West Palm Beach, Florida. 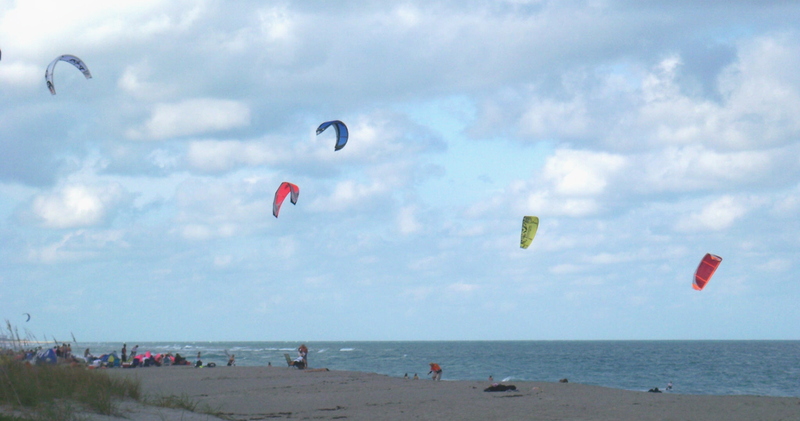 Juno Beach real estate is known for its beautiful beaches and preservation of wildlife. It is a quaint little seaside town (population 3,391 in 2004 according to the US Census Bureau) that is a popular destination for beach goers and those who enjoy nature. With a wide selection of oceanfront homes and condos, Juno Beach offers the ideal tropical atmosphere that South Florida is famous for. This primarily residential community does include the headquarters of NextEra Energy (Florida Power & Light) and the Loggerhead Marinelife Center. Loggerhead Marinelife Center, an ocean conservation group and turtle hospital (that is not a typo, this is a hospital that is just for turtles, especially endangered Loggerhead turtles) is a must on everyone's places to visit in Northern Palm Beach County. Locals and visitors alike enjoy the view and fishing from the Juno Pier and kiting that takes place on the beach near the pier. If you are looking for a small-town atmosphere but want a place convenient to everything, you cannot do better than buying real estate in Juno Beach Florida. Juno Beach is located on a man-made island along the Atlantic coastal ridge. Spanish wrecks from late 1500's to early 1600's lay on the ocean bottom not too far from the beach. The barrier island came about as a result of the creation of part of the Intracoastal Waterway in 1898. The Atlantic Ocean with its blue water and the Intracoastal add to the attraction of Juno Beach as a place to live and a place to visit. Juno was the predecessor of Juno Beach. It arose as a late 19th century transportation terminal linking northern Florida by the Indian River and Jupiter to Lake Worth in southern Florida. This little town was the County Seat of a much larger than today's Dade County from 1890 to 1900. The Jupiter and Lake Worth Railway had taken over the railroad line between Jupiter and Juno. This was called the "Celestial Railway." In the same year, Henry Flagler began development of Palm Beach. This was the death knell of the Juno and the Celestial Railway. The demise of nineteenth century Juno was followed by the rise of twentieth century Juno Beach.